Watch as the BEAST calls out lesser men that get online trying to bounce their non existent pecs! His pecs are bigger and harder than ever in this video! And they get even more MASSIVE and more RIPPED the angrier he gets! You can literally see the testosterone coursing through his bulging veins as he flexes harder than you’ve ever seen anyone flex their muscles, in your life! The veins! The striations! The thickness! The ALPHA DOMINANCE & POWER! This video will have you questioning reality itself! You already know that there is nobody more masculine and POWERFUL than the BEAST! After this video, EVERYONE will know it! 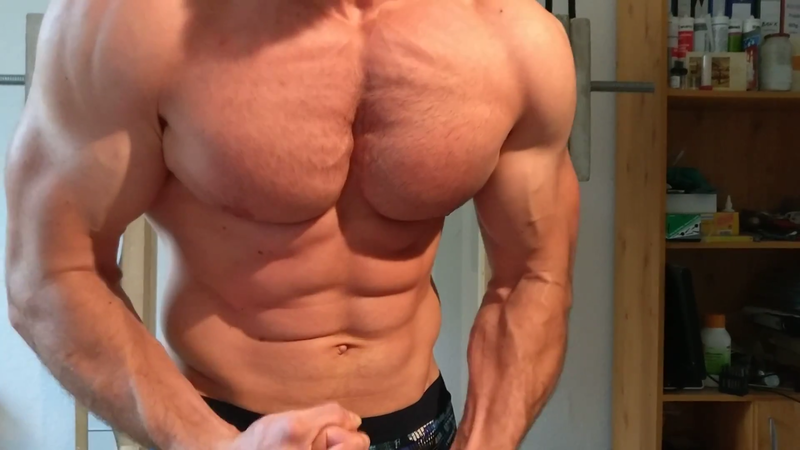 BEST flexing I ever saw, this Video for free, unbelivable, its worth more than 20$!!! Amazing pecs. Huge, hard and striated. Wish I could worship them. The best pecs in the game!